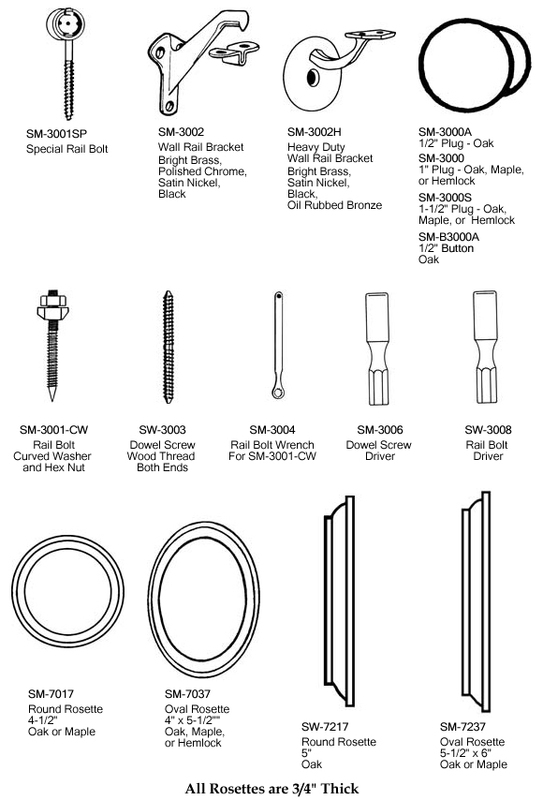 Our Rail Fittings include a complimentary Rail Bolt but additional Rail Bolts can be ordered below. Use this Rail-Bolt Wrench for easier, faster, and more efficient installation of Rail Bolts. Any of our Handrail profiles with flat bottoms can be installed as Wall Rails by using the Wall Rail Brackets below. Always check local code requirements before proceeding.